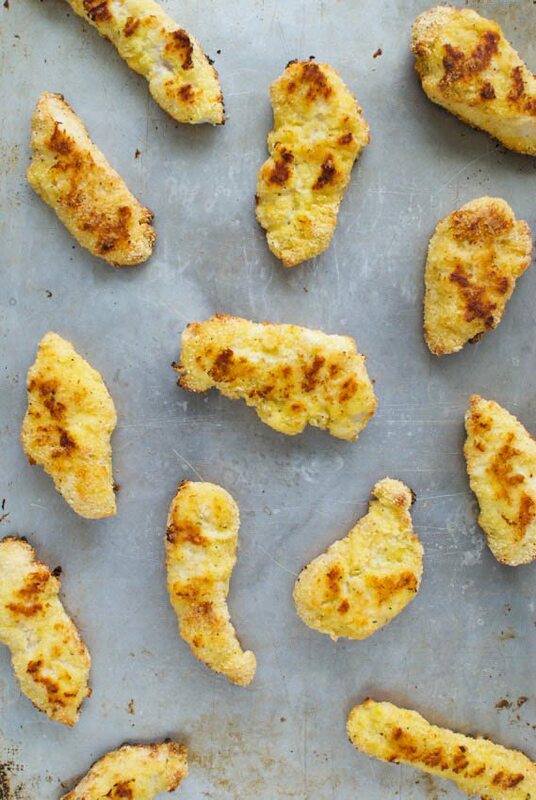 Kids and adults will love these baked grain-free chicken tenders made with light, nutty almond flour. Serve these with BBQ sauce, honey mustard or your favorite dip. For the record, I love grains. 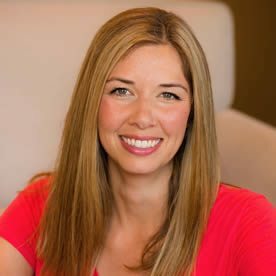 While I understand that some people have to or choose to avoid grains for health or personal reasons, I don’t feel that lifestyle is a good fit for me or my family. 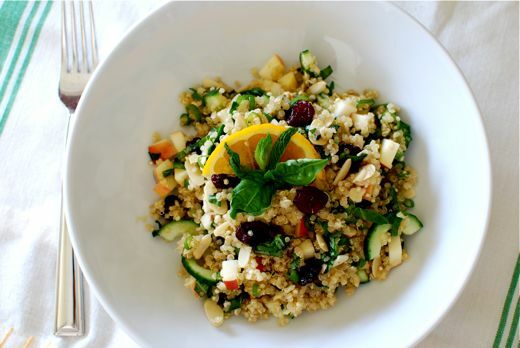 We eat a mostly plant-based diet, and a wide variety of wholesome grains is an essential part of it. I also love that I can still nourish my friends who don’t eat grain foods with delicious dishes made from tasty grain-free alternatives. No matter what kind of eating lifestyle a person follows, I want to be able to cook for them! One of very favorite grain-free alternatives is almond flour. When you find a good one (Bob’s Red Mill is my pick, for both quality and texture), almond flour is nutty, light and versatile. 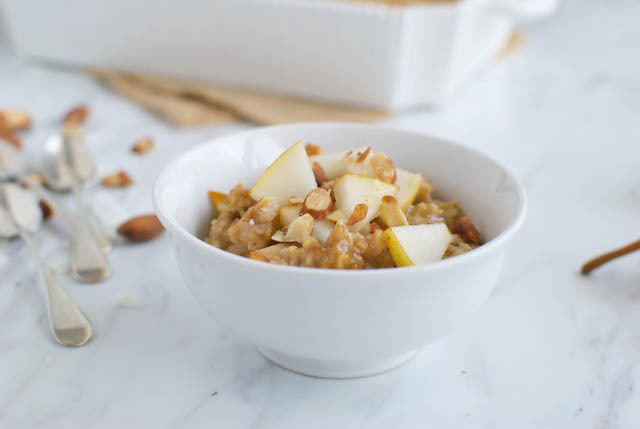 I frequently use it in baked goods – even if it’s just swapping out 1/4 or 1/2 cup of regular flour for almond – because it adds a deeper flavor as well as healthy fat, protein and fiber. Recently, I decided to try almond flour in a savory setting with these crispy Baked Chicken Tenders. And friends, the result was delicious! My kids – who aren’t big meat eaters – gobbled these up and asked for more. 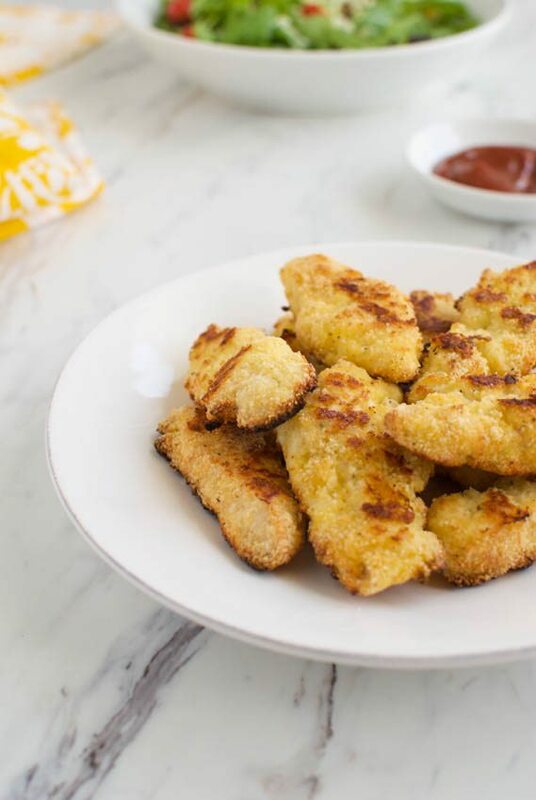 Though this recipe calls for Parmesan cheese, you can easily make these Chicken Tenders dairy-free by substituting coconut flour or finely shredded coconut for the Parmesan cheese. Any way you make them, I hope your family loves them as much as mine did! A whole foods approach to a kid favorite, these chicken tenders are an easy dinner for the whole family - whether you eat grains or not. Delicious with ketchup, BBQ sauce, homemade ranch, or as a salad topper! Preheat oven to 400. Line a baking sheet with parchment paper, then pour the olive oil on it and spread around with your fingers or a brush. You'll need 3 shallow bowls for the chicken prep. In one of them, crack and beat the eggs with 1 Tbsp water. 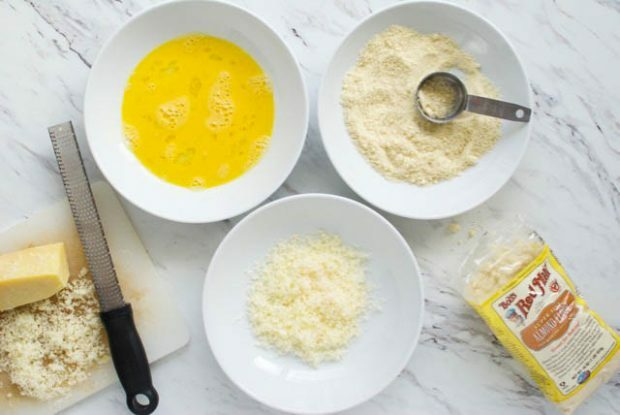 Place the grated Parmesan cheese in the second bowl. In the third bowl, combine the almond flour, paprika, onion, garlic, salt and black pepper. 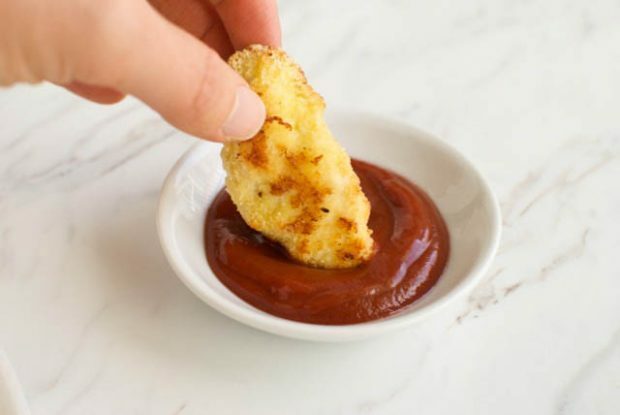 Dip a chicken tender into the Parmesan cheese (just a quick dip - no need for it to be completely covered). Next dip into the egg bowl, then finally into the almond flour mixture, making sure to cover completely. Place on the baking sheet. Repeat this process with all the chicken pieces. Bake tenders for 8 minutes, then turn and bake another 7-8 minutes or until golden brown and cooked through. Let cool for 5 minutes on the baking sheet before serving. 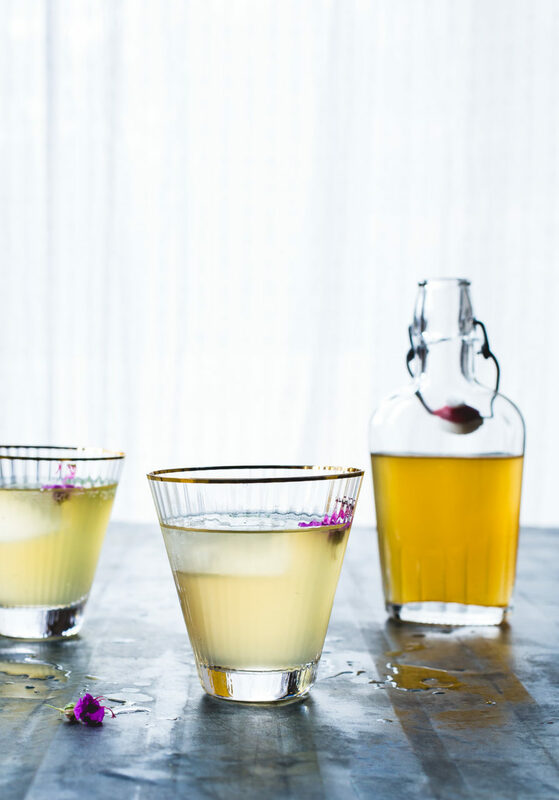 Serve with ketchup, BBQ sauce, ranch or alongside any cooked or raw veggies. This post is sponsored by Bob’s Red Mill, a brand I’m proud to work with and love supporting. All thoughts and opinions are my own. Thank you for reading and supporting my blog and the brands that make it possible! I love chicken tenders and these sound delicious! Lovelovelove that these are grain free! Can’t wait to try them for dinner! These look amazing! I will have to make them soon!! We’re a whole grain family too, but I love having options like this to feed friends who follow grain-free dinners. Almond flour is one of my top favorite ingredients ever, but I never thought to coat chicken with it, this is genius!! Thanks, Sue! I hadn’t experimented with it in savory dishes until recently either but the result is delicious!